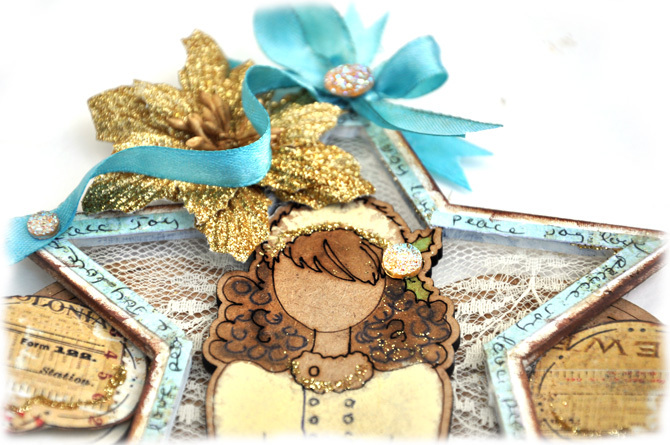 Prima and Julie Nutting create Christmas Magic! 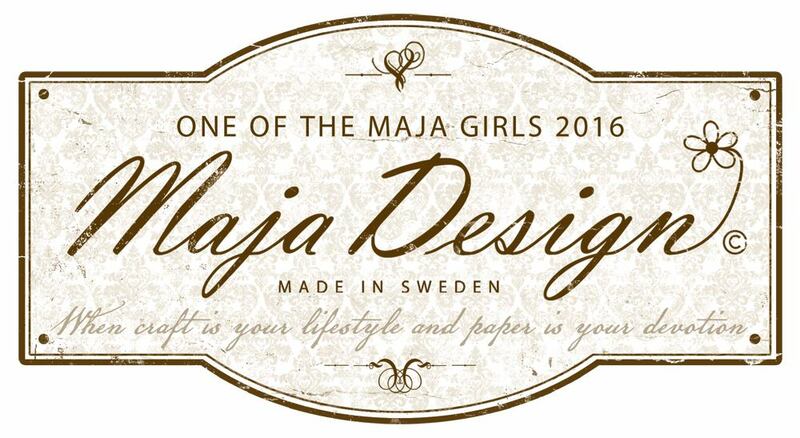 See the Prima post here. 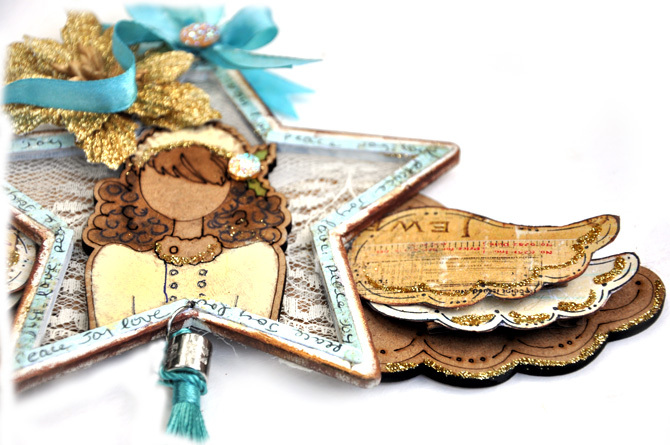 Julie Nutting has created some cool and innovative Christmas Ornaments. The new ornaments are sure to bring joy to homes all around the world. They are darling, unique and full of holiday cheer. 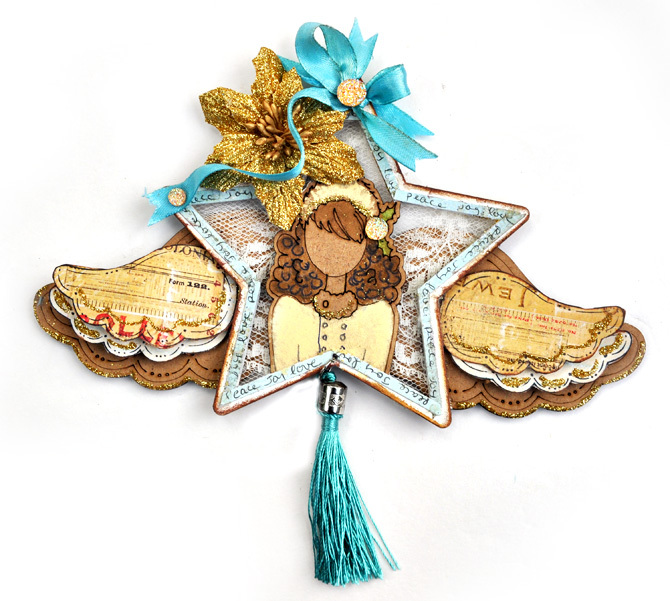 The ornaments are wood and come with tassle, wings and ribbon to use for hanging. I created my ornament using a few simple easy steps. Add text to star border. 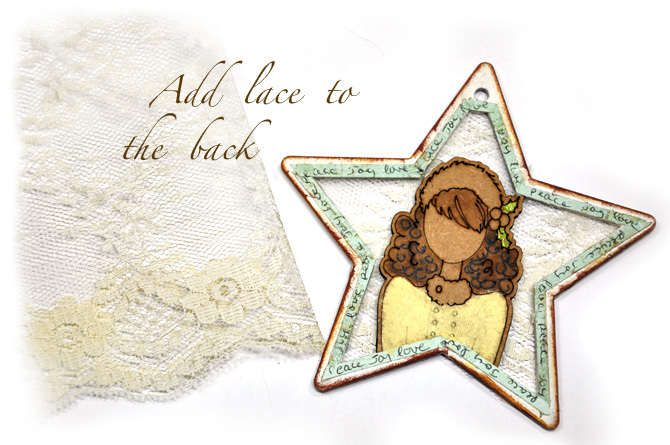 Attach lace to back of star shape. 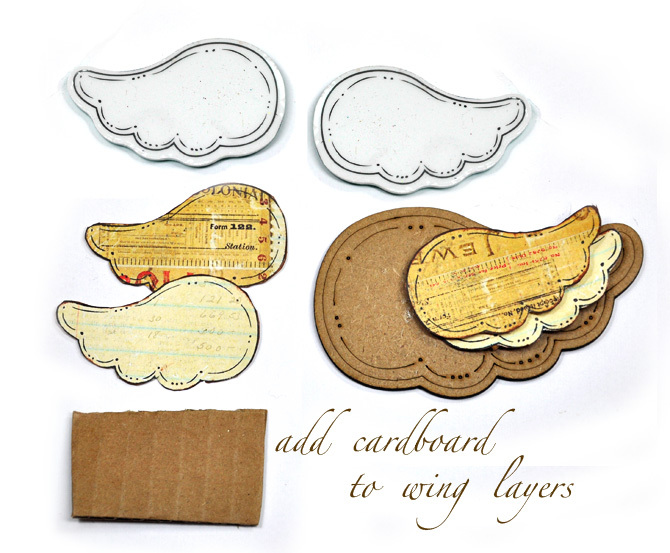 Stamp and create additional wings to set on top of chipboard wings. 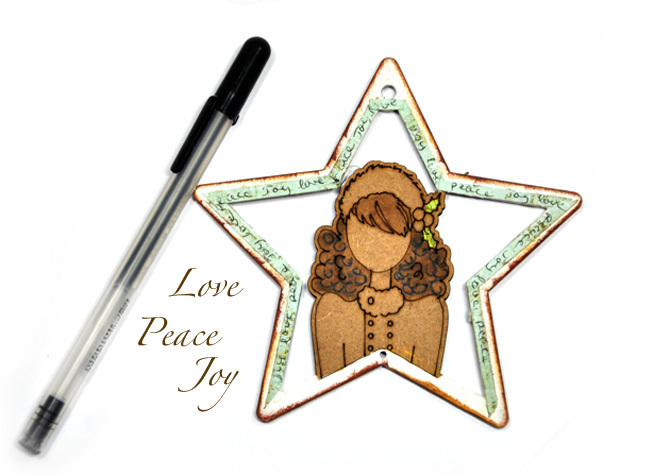 Step 1: Use a pen to add some text to the edges of the star. I wrote Love, Peace, Joy. Step 2: Add a layer of lace to the back of the star for a delicate touch. Step 3: Grab Prima and Julie Nutting's adorable wing stamp (910303 Prima Julie Nutting - Wings Stamp) and stamp your favorite paper. I love Cigar Box Secrets. 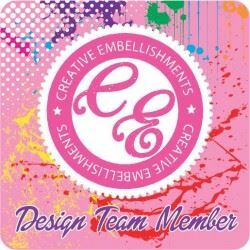 Add cardboard to the back for a dimensional layered effect. 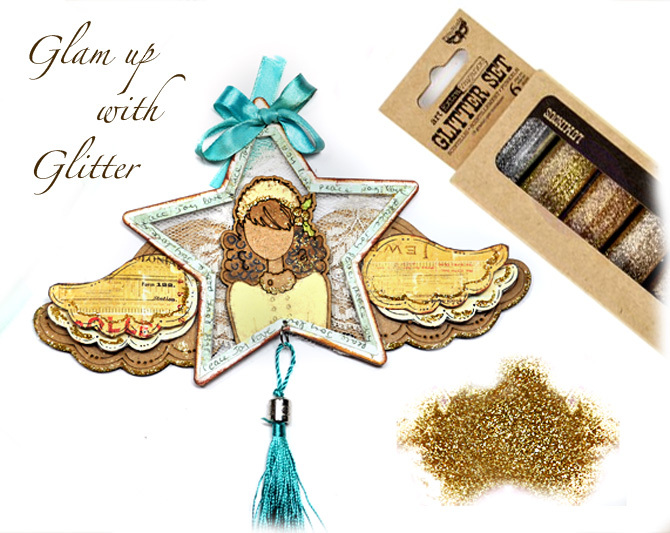 Step 4: Every Angel wants to shine so give her some glam with Glitter. You made a FABULOUS ornament! Fabulous instructions! Very inspiring piece! The glitter, the lace, the doll...!